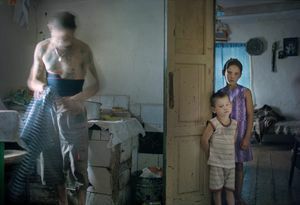 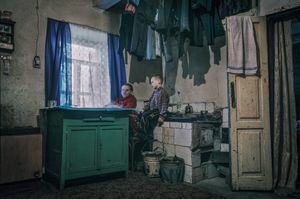 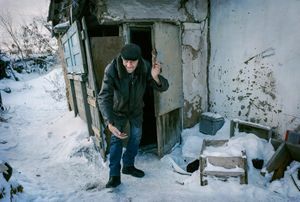 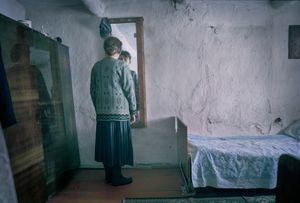 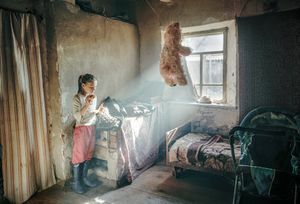 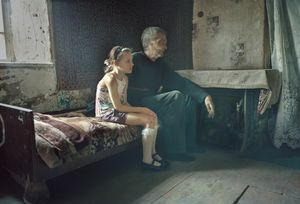 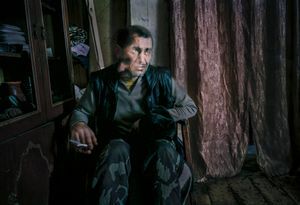 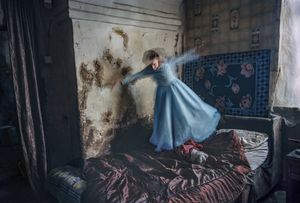 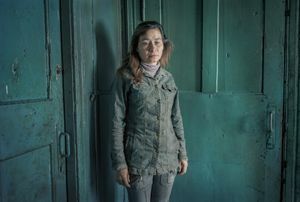 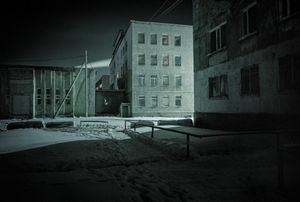 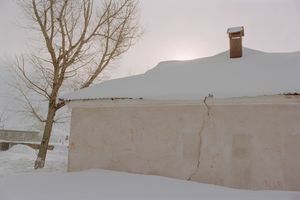 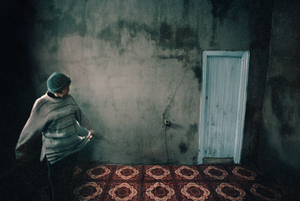 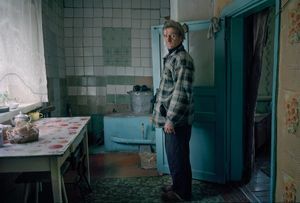 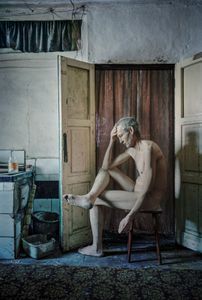 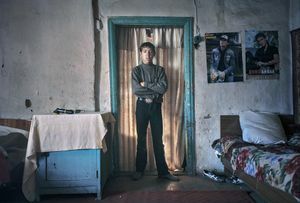 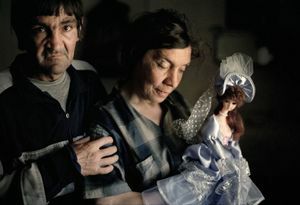 "Virgin Lands” is a series about former prisoners in a small town in northern Kazakhstan. 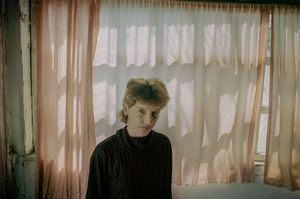 The project centers on the state of post-incarceration and explores moments traversed by the past as much as by the uncertainty of the future. 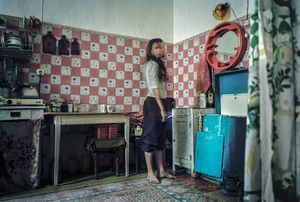 After having spent up to twenty years in prison, these men and women face the difficult process of normalization and social adaptation, which includes a stigmatization not seldom affecting the whole family. 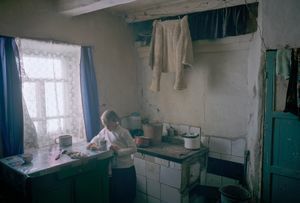 The name “Virgin Lands” comes from the 1950’s plan to increase the agricultural production in the vast steppe of northern Kazakhstan in order to battle the food shortages plaguing the Soviet Union. 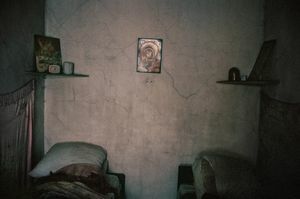 Furthermore, the region was of great importance during the time of the deportations. 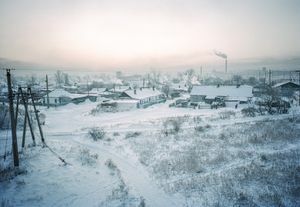 The harsh landscape made it an ideal location for labor camps in the massive network of correctional facilities known as Gulag. 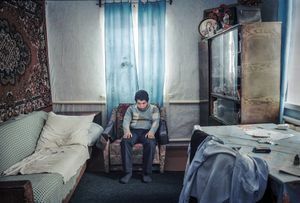 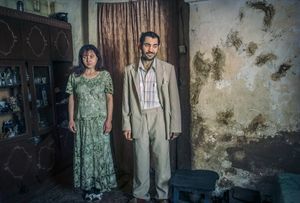 With this geopolitical history as a backdrop, the project addresses questions of memory and longing, nostalgia and hope, on an individual as well as on a collective level.